If I'm truly listening to my body, I think quite often it is telling me to lay the hell off. To enjoy the moments in the sun as much as the run itself. To remember that my yoga practice is about what feels good for my body, right now. 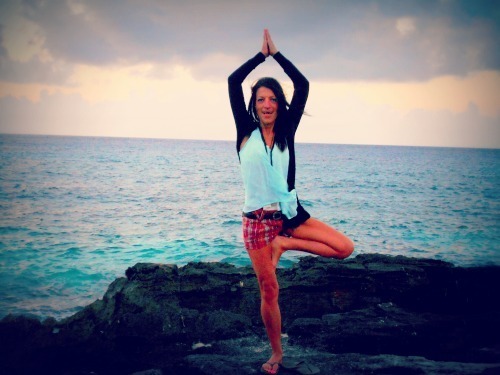 Keeley Milne Mom, writer, student, yoga teacher, and constantly in pursuit of new adventures. Columnist at elephant journal. I used to run like I was punishing myself. Perhaps I wished I was. A session didn't feel complete unless I felt close to vomiting at the end. I loved the pure, blissful body ache of a good strong run, complete with the runner's high, a massive endorphin hit. I still do. Lately I've been finding it too hard to find time to fit in those ambitious, all-out runs. I'm waking up at five to study, so I can't jog to the Y and fit in a glorious, morning-enhancing yoga class either. Being the all or nothing type of woman I forever tend to be, I had lapsed into lethargy. Busyness in all other aspects of my life, but ignoring the physical needs of my body. The mental ones, too -- exercise, to me, has always been one of my strongest combatants against depression and anxiety. Finally, several days ago, I pulled on the shoes and hit the pavement. Five minutes in, I was done. Frustrated, irrationally and selfishly annoyed that an earbud kept falling out, my hair elastic snapped, and knowing I couldn't fit in a full 10km, I screeched to a halt, mentally cursing the run, myself, everything I could think of. I bent over to tie an unruly shoelace and noticed a perfect, smooth stone by my foot. For a moment I was distracted, and several dogs came up behind me and nuzzled me a greeting, getting some pats and smiles. An older couple passed me, holding hands. 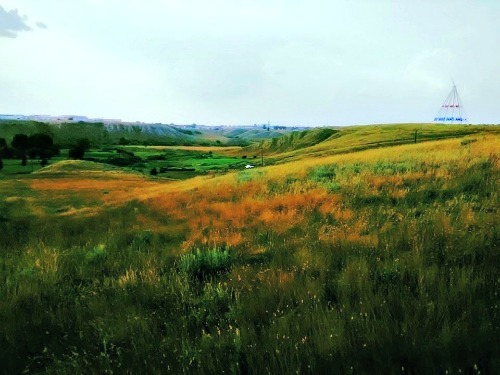 I stood up and blinked out into the sunlight over the running paths before me, winding through the Medicine Hat hills. An immense, overwhelming blue sky above. I spend the remaining 20 minutes of my run jogging, shuffling even, taking in the day. Feeling my body adjust and the muscle memory come back, feeling the sun on my skin, smiling at passers-by. That evening, I lay on my yoga mat in child's pose. I eased into a downward dog, feeling my body savour every limber moment. Who cares if I can't make it to a class? I can spend 20 minutes flopping around in non-judgement, enjoying the stretch and being in the moment. An hour of pure-strength-building may have been sacrificed, but heart-opening moments of simple smiles and joy that I traded it for? Well worth it.